1. Photos of the Uptown Theatre are featured in a new photography exhibit at the Cultural Center, says the Reader. 2. Randall Colburn offers some much-needed advice to those unaccustomed to working with a playwright. "I’m not the kind of playwright who goes to rehearsals constantly," he writes. "It’s important to let the director, designers, and actors do their thing without some scarf-ensconced a**hole hanging around, smoking his pipe, and sighing resignedly when you mess up a line." Colburn wrote Hesperia, in case you missed that -- and this post is very funny. 3. 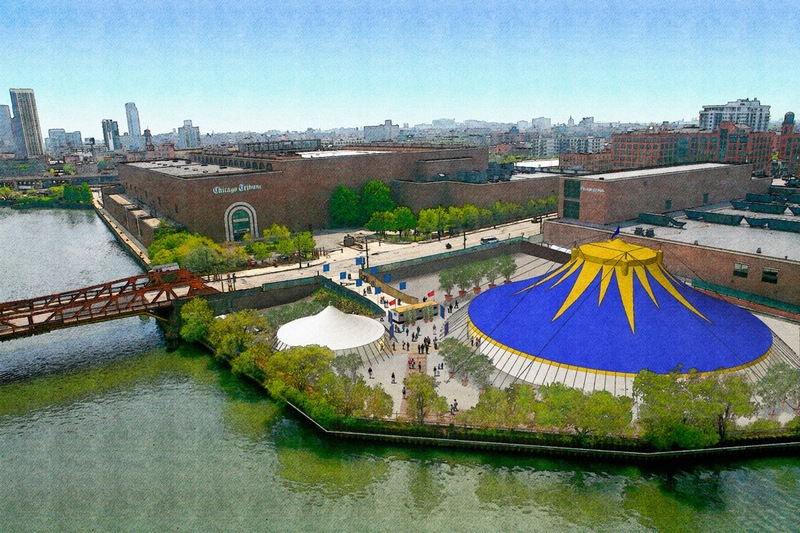 Cirque Shanghai is coming back to Navy Pier this summer with a magnificent new show; it&apos;ll be called Cirque Shanghai: Year of the Dragon. It&apos;s billed as an "exclusive U.S. engagement." 4. If you like being outside and you like being entertained and you agree with Kelly Kleiman that outdoor summer theater can be sort of a mixed bag, fear not! Riverfront Theater is upon you, in a 22,000 square foot temperature-controlled tent (70 feet tall) on the Chicago River and a whole season of performances, in conjunction with the Chicago Tribune Freedom Center. They&apos;ll open May 30 with The Twelve Tenors; then, Dancing Queen; Spirit of the Dance; La Soiree; Rocket Man and Man in the Mirror. Tickets on sale April 20. 5. Do you think you&apos;ve seen Little Shop of Horrors? Think again, says Bob Bullen.